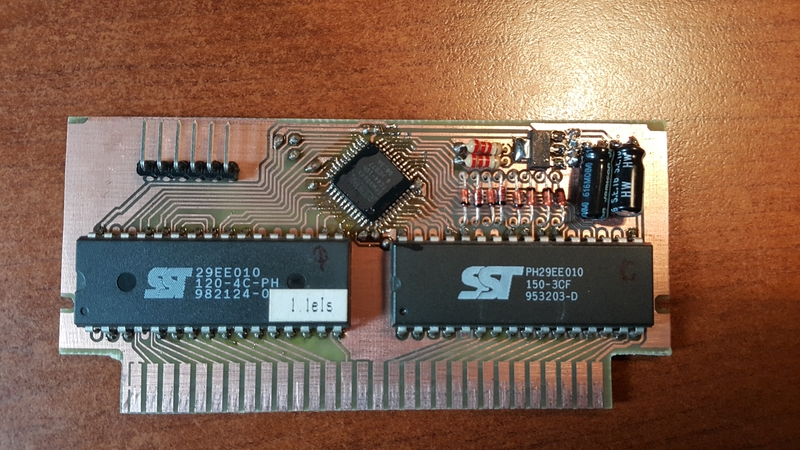 I wanted to test Punch Out on real console, but implementing MMC2 on my current flash-cartridge was not possible as this mapper needs access to whole PPU address bus. 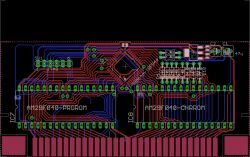 So I thought of creating new PCB. 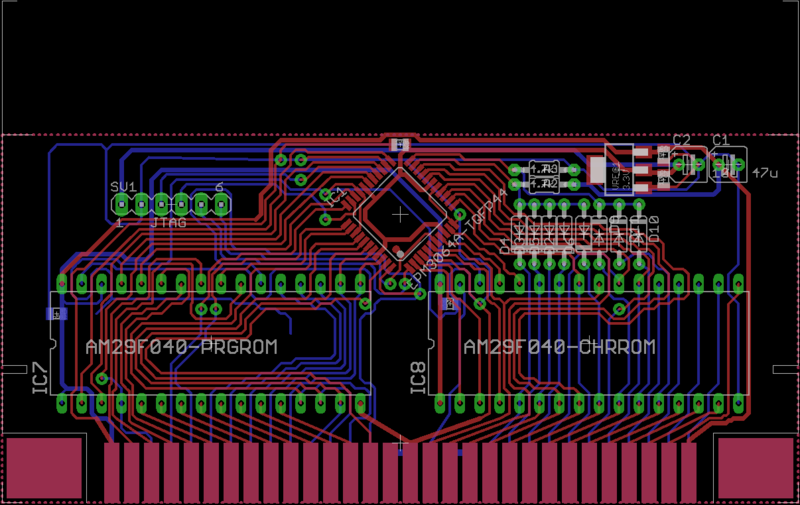 My goal was to use EPM3064 as CPLD (It is 5V tolerant) + DIP EEPROMs (I was not fancy playing with EPM240 and 245 shiftters, because I wanted simple, small and compact PCB). * PPU A12/11/10 have to be wired for mirroring or knowing the CHR bank, but.. 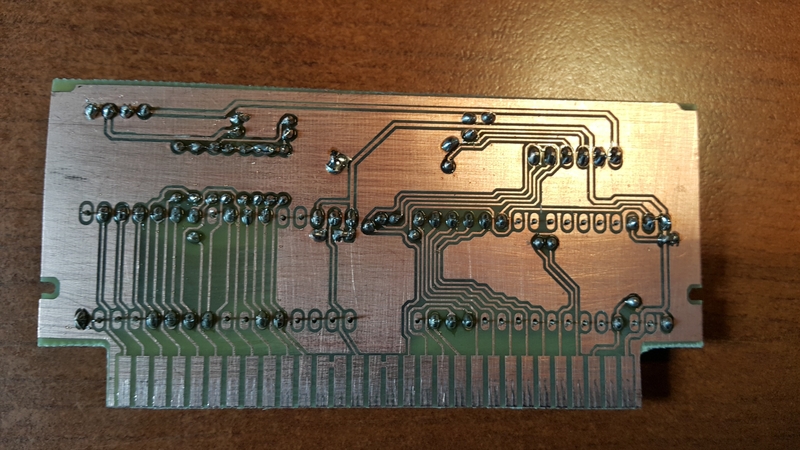 I could also add the PPU_!A13 to AND product (instead of wiring PPU_A13) but on many cheap famiclones, PPU_!A13 and CIRAM_!CS are not wired to the connector at all. 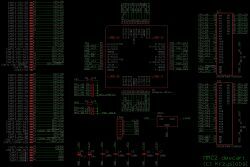 And I used diodes for all that logic! I wired R/!W to PRG-!WE, !ROMSEL to PRG-!CS, and PRG-!CE to PRG-!OE because I wanted to be able to reflash it using kazzo in future. I burned EPROMS, soldered everything and... Unfortunatelly the cartridge did not booted at all (sometimes few chords of music from Punch Out were played but it did not go even to the title screen). So I quattro checked all connections, VHDL code, even dumped the PRG/CHR using kazzo, everything seemed to be correct, but it was not working in console. Then I rewired PRG-!WE to VCC and it worked! 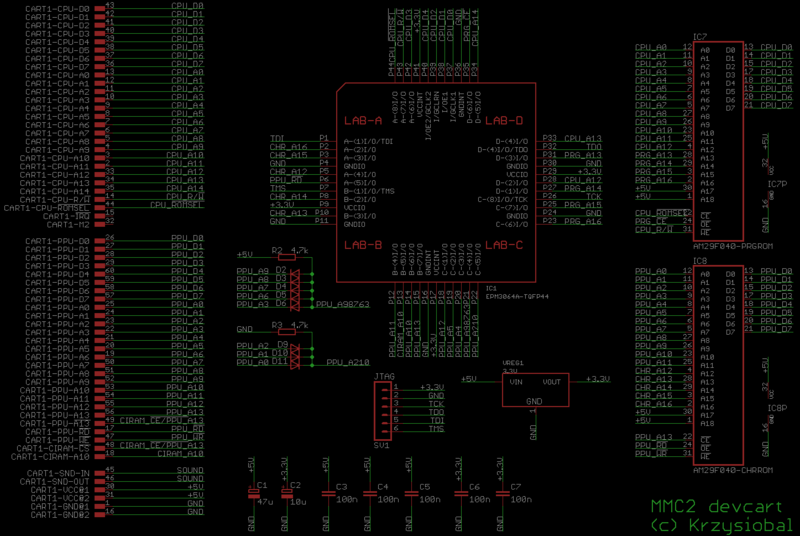 Looks like mapper bankswitch writes messes internal state of the 29EE010 EPROM.